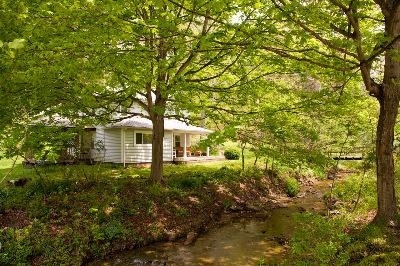 Humm Inn Haven is a guest rental accommodating from 1 to 16 people in the Hocking Hills region - 1 mile east of Ash Cave. Year around rental - day, week, weekend. 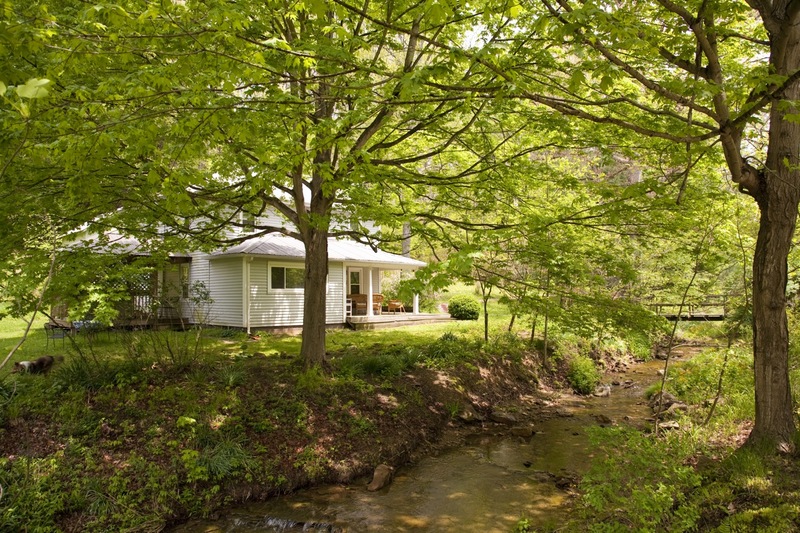 Creekside Cottage has 3-4 bedrooms, 3 baths, plus a sleeping cottage. 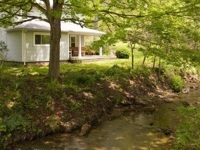 It sits on 20 wooded acres with large yard for play and a babbling brook for serenity. 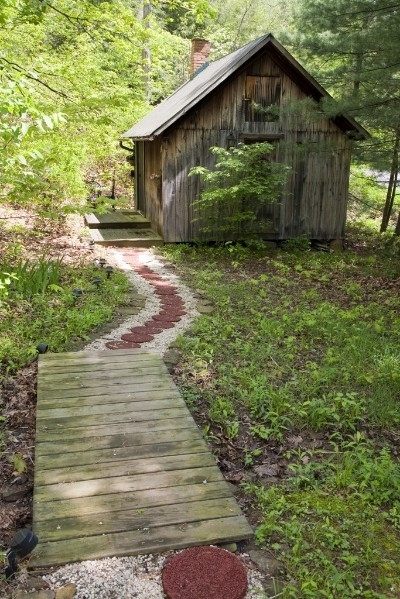 It is located one mile from Ash Cave State park. It is perfect for family vacations reunions. Rustic log cabin situated next to a babbling brook and near Ash Cave, Cedar Falls,Old Man's Cave and Rose Lake. All other parks within reasonable driving distance. 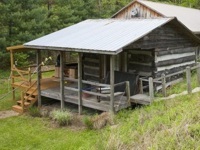 Bed linens and towels provided along with a fully equipped kitchen. Relax with us.